1. Soda pop bottles – we started collecting these for a theme table at our wedding last year…now we’re hooked! We especially like the coloured bottles. 2. Tin toys – these fall into the category of “coveting” since they can be very expensive. Chantal remembers playing with several of these tin toys at her grandmother’s house. They all mysteriously disappeared (as did several awesome antiques) once her grandmother moved into an old folks home and her house was rented and were probably donated to a very lucky thrift store. She’s still kicking herself! 3. Cigar boxes – Joel went through a cigar box phase a while ago because he had recently come back from a backpacking trip to Cuba and was fascinated by Cuban culture. 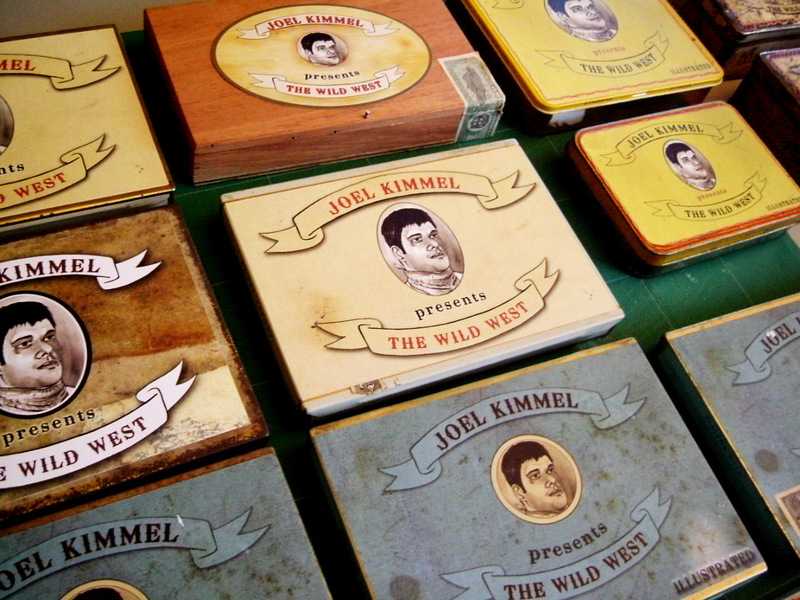 He started collecting old boxes and tins and used them in one of his illustration promos. 4. 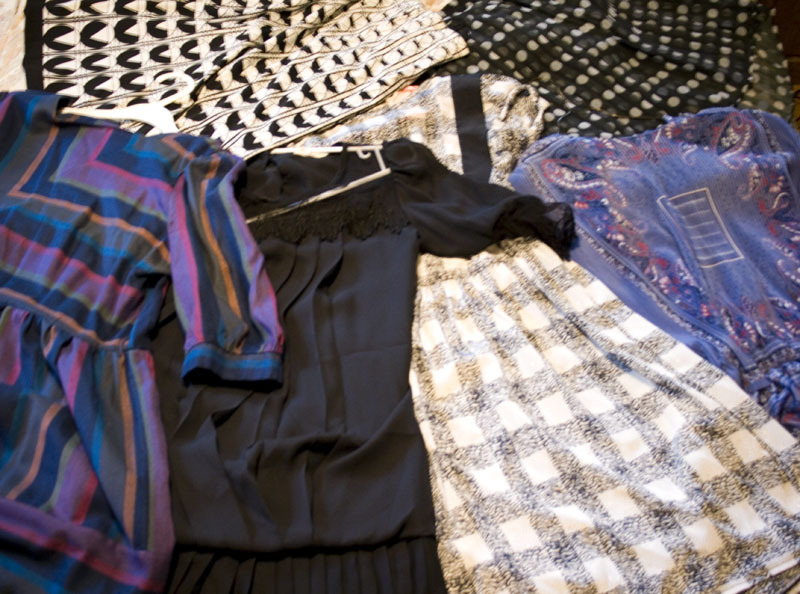 Clothing & jewellery – Chantal has been thrift store hunting since 1997, soon after discovering the coolness of her parent’s 70s castoffs in a closet somewhere. 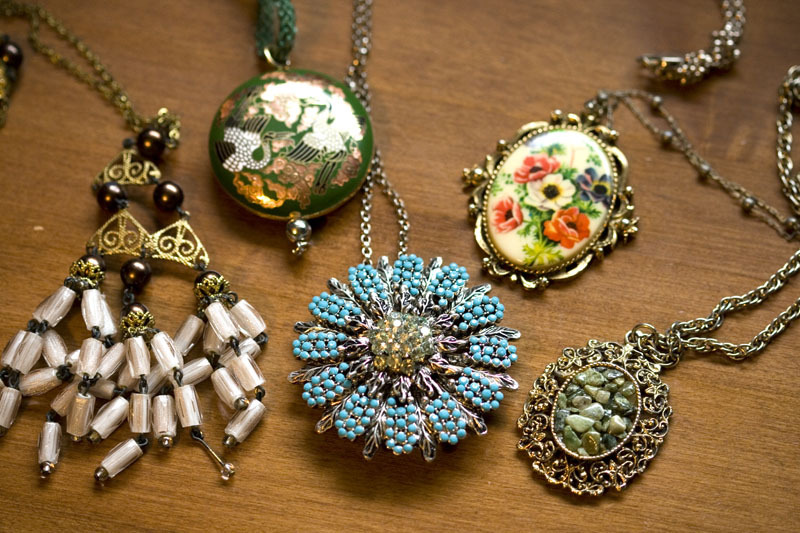 Since then, she has amassed a somewhat unreasonable amount of vintage clothing and jewellery. We hardly have the closet space, but that never seems to deter her. 5. Old stoves – definitely in the “covet” category. After having watched a tv show about antique stoves several years ago, Chantal has been coveting one of these bad boys below. Of course, they are totally impractical by modern standards but we love all the different compartments. 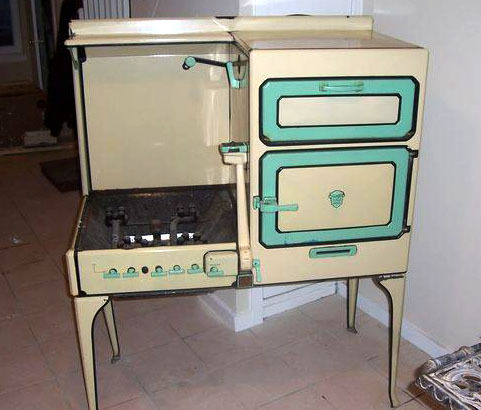 We love retro stoves! And also cast iron wood stoves. Gas stove circa 1920s. Love those colours! 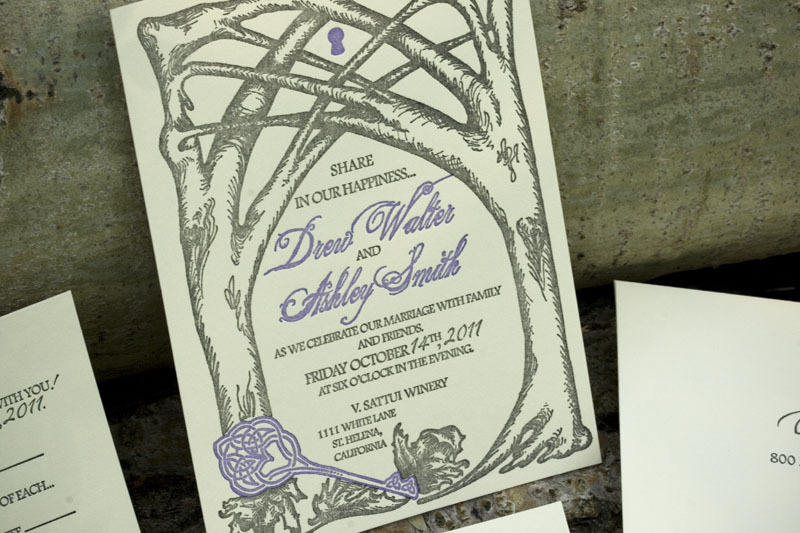 We received an email a few months ago from Ashley, a bride who wanted to draw her own wedding invitations and have them letterpress printed. 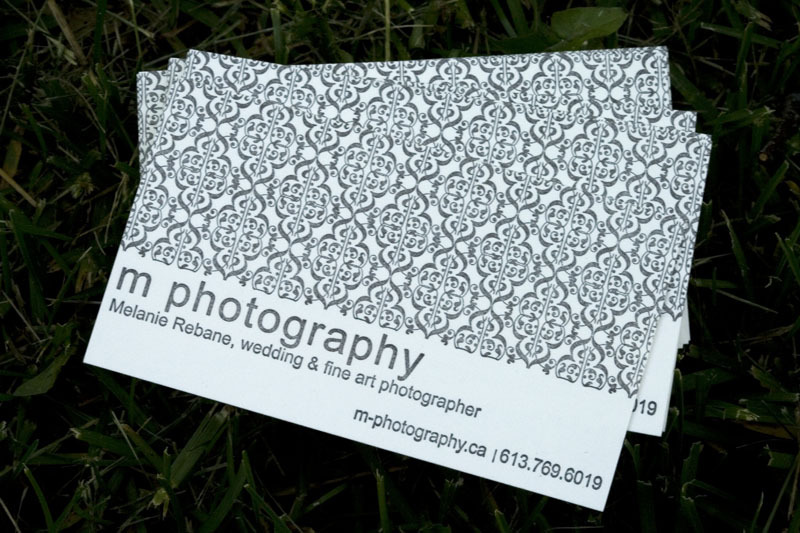 She mentioned that she had approached several letterpress printers who turned down her project because, not being a graphic designer, she was not entirely sure of how to get her design to letterpress-ready format. 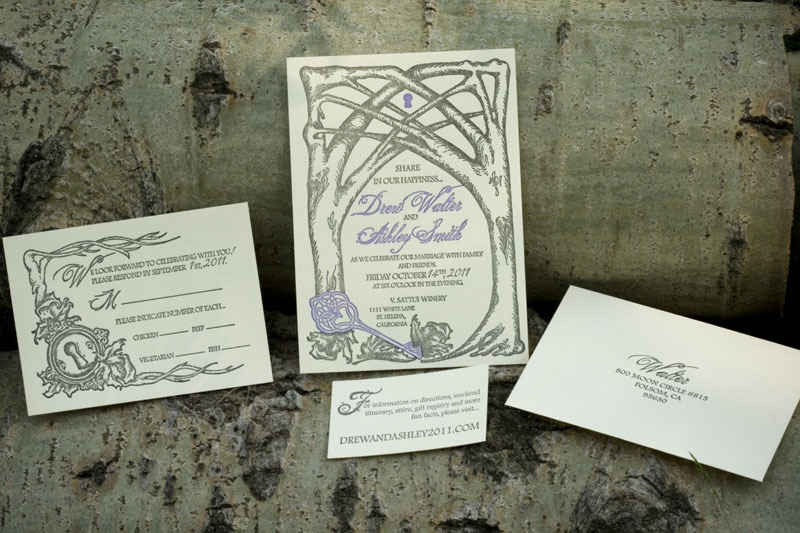 We offered to help, since we convert our drawings to letterpress-ready format on a daily basis. 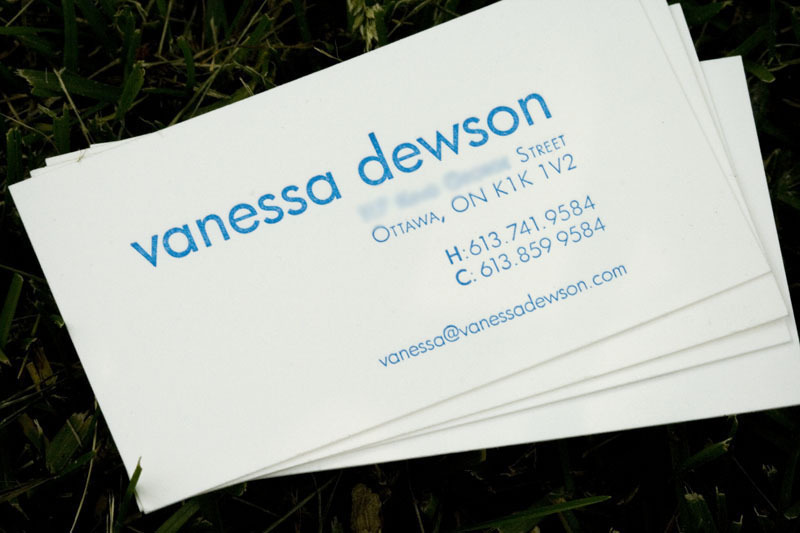 The other letterpress printers also recommended that Ashley to “keep the design simple”. Since one of our unofficial mottos here is “More is more and less is boring”, we recommended she draw her heart out! Here is the lovely result. Illustrated by Ashley, printed by us on 300 gsm Crane Lettra in ecru white. 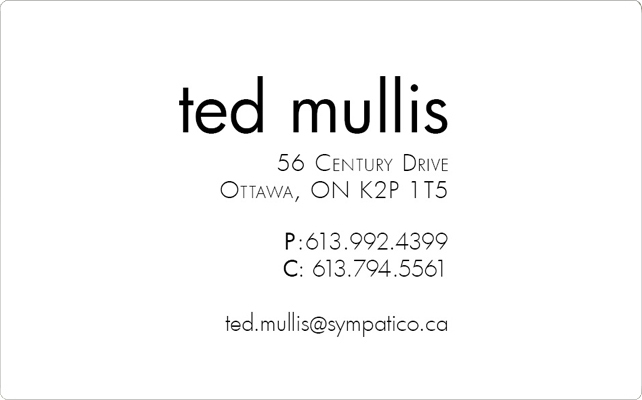 Here a couple calling cards we printed for our $150 for 300 deal. In this deal you get to choose one of our calling card templates, choose a colour from our palette, plug in your info and voilà! A calling card all to yourself. DON’T forget to print your return address – without a return address the postal service cannot return the envelope to you if a)you are lacking postage on the envelope of b) if you have made a mistake with the sender’s address. You may as well kiss it goodbye! DO have your stationer design your envelope! 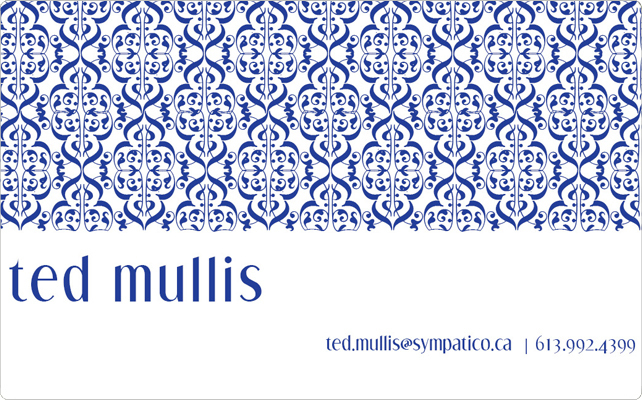 An interesting graphic or fancy typography makes the envelope part of the whole package instead of an afterthought. Your guests will save them along with the contents of the envelopes. DON’T misspell your guests’ names – nothing displays a lack of attention to detail like misspelling your guests’ names, especially when sending a formal invitation like a wedding invitation. If you are inviting them to your wedding, you are probably friends with them on Facebook, so take a moment and look it up. DO hire a calligrapher! 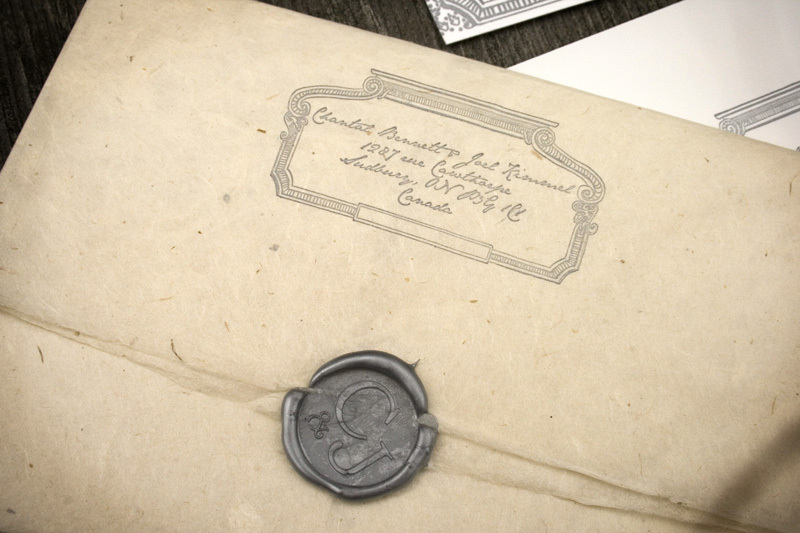 In this day of electronic correspondence, most of our handwriting has degenerated into an illegible scrawl due to lack of use, so hire an expert* and ensure your envelope is as pretty as the rest of your invitation. DON’T print the addresses on your home inkjet. Unless you have a professional-quality inkjet printer, the ink will most likely smear in the post or end up looking spotty during printing. For that matter, don’t print any stationery on your inkjet printer unless it’s of professional quality. If you really must to do it yourself, enlist the help of friends or family with a higher quality printer to do it for you. DO use interesting stamps! The post office is always selling pretty limited edition stamps, or better yet, use vintage stamps**! The postage remains the same no matter how old the stamp is, so why not go all the way and make the entire envelope extra gorgeous? DON’T use incorrect postage. 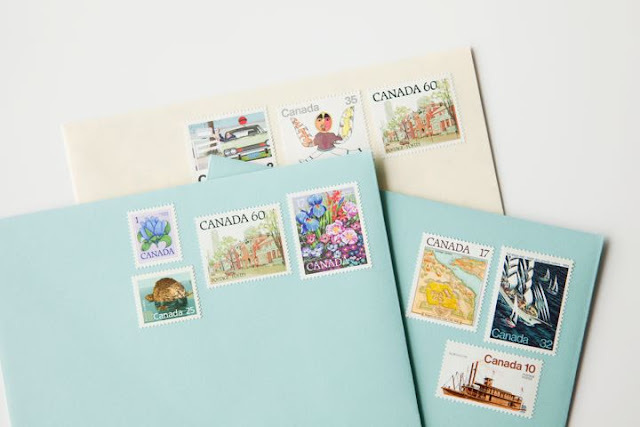 We know Canada Post can be especially greedy when it comes to the weight of an envelope and they will grab any chance they can get to return your invitation with a lovely “insufficient postage” sticker right smack in the middle of your beautiful envelope. So make sure to weigh the complete package before sending it! They can weigh it for you at the post office, or use a small scale. It will be worth trouble, trust us. DO use an envelope liner! Envelope liners add another fun dimension to your envelope and will surprise your guests when they open the envelope and give them yet another reason to keep the envelope along with the contents inside it. DON’T skimp on ordering envelopes. If you are addressing them yourself, many a mistake will be made. Always make sure to order 10% more envelopes than the rest of your invitations order. Most good stationers will include this in the price of your order, so make sure to ask. And lastly (okay that makes six dos) DO use wax seals***! These are so much fun and really put the finishing touch on your invitation package. With the option of designing your own custom seal, there is no end to the possibilities!